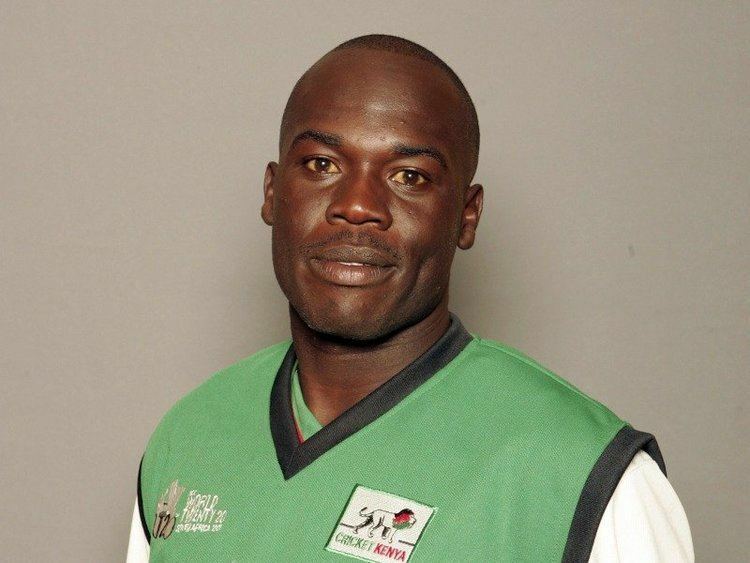 David Oluoch Obuya (born August 14, 1979) is a former Kenyan cricketer. He is a right-handed batsman and a wicket-keeper. Obuya first played cricket at the Under-19s World Cup of 1998, where he starred as the opening batsman. Obuya did not play any cricket since 2012. His one-day career was to follow three years later. He first represented the senior team on a tour of the West Indies in 2001, where once again he was an opener, alongside Ravindu Shah. He played in the 2003 World Cup, where in the semi-final he set a record for the best eighth-wicket partnership in a match against India, beating the previous mark set by himself and team-mate Tony Suji. Most recently, Obuya has played one-day cricket for Kenya against Bangladesh. His brothers, Kennedy Otieno and Collins Obuya, both play cricket in Kenya. David Obuya was the first player in history of T20I as well as in ICC World Twenty20 history to be dimissed for being hit wicket and he was dismissed for a duck in that innings.